The Plaintiffs, Eli Lilly and Company, Eli Lilly Export S.A., and Acrux DDS Pty Ltd. had filed a patent infringement lawsuit in the Southern District of Indiana alleging that Defendants, Perrigo Company, Perrigo Israel Pharmaceuticals Ltd., Actavis Laboratories UT, Inc., FKA Watson Laboratories Inc., Lupin Pharmaceuticals, Inc., and Lupin LTD infringed patent no. 8,435,944, Method and Composition for Transdermal Drug Delivery (the ‘944 patent) and 8,807,861, Spreading Implement, (the ‘861 patent), which have been issued by the US Patent Office. The ‘944 patent “recites a transdermal delivery method of applying testosterone to the axilla of a patient.” The District Court ruled in favor of the Defendants and invalidated the ‘944 patent for obviousness based on prior art, and the Court of Appeals for the Federal Circuit affirmed this decision. 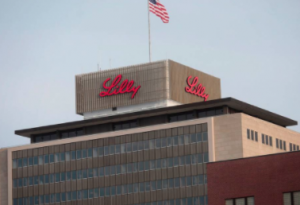 The Federal Circuit cited a lack of merit in Lilly’s appeal and a misreading of the district court’s decision. The District Court upheld the validity of Lilly’s ‘861 patent, for an applicator that administers testosterone to the body. The Federal Circuit affirmed this decision as well, denying Cross-Appellant Amneal Pharmaceuticals’ appeal. Amneal’s version of the applicator was found to infringe on the ‘861 patent, and the Federal Circuit agreed. Amneal claimed that prior art invalidated the ’861 patent, but the Federal Circuit denied that argument. This case was appealed from the Southern District of Indiana Nos. 1:13-cv-00851-SEBDKL, 1:13-cv-01799-JMS-DKL, 1:14-cv-02025-SEB-TAB, Judge Jane Magnus-Stinson, Judge Sarah Evans Barker. The appeal was before a panel including Circuit Judge Raymond T. Chen, Circuit Judge S. Jay Plager and Circuit Judge Todd M. Hughes at the United States Court of Appeals for the Federal Circuit, Appeal No. 2016-2555. The Appellate Court affirmed the decisions of the lower court on November 22, 2017.